I am so excited about this! i have been planning this for a long time, and though it has been delayed a number of times, this is the year it will be released! Later this week I am meeting up with some of the amazing team who will be involved in making the DVD, it’s a very exciting time! The planning is almost finished and once thats done, we simply film it, do all the editing work and… Bam! To complete my planning, I need to establish an idea of how many people would actually be interested in the DVD. Would you consider purchasing my Cajon DVD? Simply send us and email to londoncajonschool@gmail.com, stating that you would be interested in the DVD. You can also include information like why you like my lessons or if my lessons inspired you to learn to play the cajon, any information would be really helpful. it can be as short or as long as you like. As a thank you for your help, we will give 10% discount on the DVD to the first 100 replies and the DVD will be personally signed by Heidi Joubert. Is the DVD still available? It’s great to hear your still releasing the DVD, I’m looking forward to getting it. When I first saw a street performer playing a Cajon about a year ago, I thought WOW! How is he getting all those great sounds from that box? 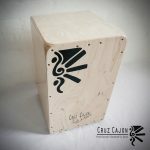 I then looked the Cajon up on the Internet and found you, your a true insperation, brilliant performer! 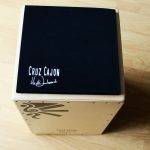 I’ve just recently taken up playing the Cajon, about a month ago, so thank you for the videos that you have already put out there, they’ve been a great help. I’ve bought a few learn to play books and am having a few percussion lessons to get me into it as I’ve never played before. Although I do stum the guitar so have built up some rhythm and timing over the years. Really looking forward to the DVD. I am definitely interested in your DVD. I have a lot of trouble trying to do the online lessons. I am a 30 yr guitar player, started playing full drum kit about 4 years ago. Transitioned to the cajon about a year ago as it fits in some of the smaller venues we play.. I’ve had nothing but fun with it and am wanting to buy one of yours. I wasn’t real clear which model are flamenco. That is the style you are playing on your lessons? Thanks for putting your stuff out there for us all to find inspiration in… It’s clear you are having tons of fun when you play! All our models are what we call ‘flamenco cajons’. This purely means it has guitar strings inside to create that snare sound, whereas the peruvian cajon (which is the first cajon before the flamenco cajon) has no snare sound to it! I would definitely buy your dvd! I’m from Brazil and i just love your lessons! I hope is a downloadable so i can have it! Support and definitely buy your instructional DVD. I hope this DVD should be available on download version as i come from Hong Kong and save the shipping cost. Also, I hope this DVD will have play along section. So that i can jam with your band like you. 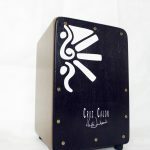 Definately interested in your DVD pro drummer for 40yrs+ just bought my first Cajon, loving it, great teacher! Thank you. I’d definitely be interested in an instructional DVD, especially if it expands upon your instruction already on YouTube. Your YouTube videos have been very helpful! Having some “jam tracks” to play with would be great, as well, for those of us without easy access to other musicians. I would definitely buy your DVD. My own influences cover Flamenco, Indian, African, Latin, Brazilian, Arabic, Progressive Rock and Metal, anything from these or other styles is much appreciated. I have found you on youtube with your video lessons. I’m keen on your technic and your rhythm. I’m very interested on your dvd. Did I understand it right? It’s a teaching dvd? I am interested in your DVD as well as online classes and your CD. Can’t figure out where to order these items or cost of online classes in US dollars. Love your style Heidi,great colour and presentation.Would definitely buy the dvd. You know from our last contact bout my interest. Definitely gonna support you on that one. I will gladly buy the dvd when it becomes available. I would plunk down my cash, in advance, for an instructional DVD. Especially one that can go in depth into some of the styles and techniques that you only touch on in your YouTube videos. I wanted to learn hand drumming because Ney Mello says that studying drum patterns is one of the most important things a rhythm guitarist can do. I picked cajon because I saw your Fernando’s Kitchen vids and followed them to your instructional channel. The sheer joy with which you play made me want to make the cajon my instrument. I would definitely buy a dvd. I’d like to learn some creative ideas that can improve groove with different patterns used a bit like parra diddles but with a bit more funk. Hi Heidi… i like your lessons very much… sure i will buy a dvd . Please make also a downloadeble version. my english is not so good..hope you understand. Can you make some playalones? It make me more for fun.. thing other also. I look many of your videos.. for example :Cajon lesson – Dance/Pop/Rumba Groove . I also read the description of this video.. i know all this groups.. but i am really a beginner and it is not so easy for me to find the songs for this pattern.. Would be wonderfull, when you can put some examples of Songs from this groups whitch fits. Also it would be fine when you can put the sheets with Slap, Tone, etc in the video..during your instruction. It helps me a lot. So i looking forword for this dvd. when you need help… i can help for german and spanish translation. Also i am Filmmaker. I don´t look for money… i want to play this magic instrument. It’s because of your website and videos that I have been able to learn many basics to get me going on my cajon. I think your lessons are easy to follow and that you’re a great teacher. I’ve been drumming my whole life, but adding the cajon to my skill list has been a lot of fun. thanks so much – and yes I would love to have a Heidi Joubert DVD as a resource to learn from. i would be interested in the DVDS. Want to learn to play. I would be interested in your new CD for my grandson Joshua. We live in the United States. Yes, highly interested in purchasing your DVD, when it becomes available. I like your enthusiasm, talent and the the simplicity & breakdown of how you teach the various rhythms. I’ve already purchased the Fernando’s Kitchen music CD download. Love the music! I would be very interested in your new dvd, but I don’t know, if it’s possible to get it here in germany.? I would welcome a DVD for the Cajon as it would be more portable than looking up videos on YouTube. I find your YouTube learning Videos really exiting. It’s for me a good possibility to learn new grooves for my cajon. I am strongly interest to by this learning DVD. I hope there are a lot of Latin rhythm on this DVD. I hope your new instructional dvd is available for purchase as a downloadable video. As I am too far off from where you are. A great and versatile instructor you are. Looking forward to your instructional video, and hope that it’s not just for beginners only. yes, i´m very interested in your dvd. I like to look at your leesions scince 2 years.